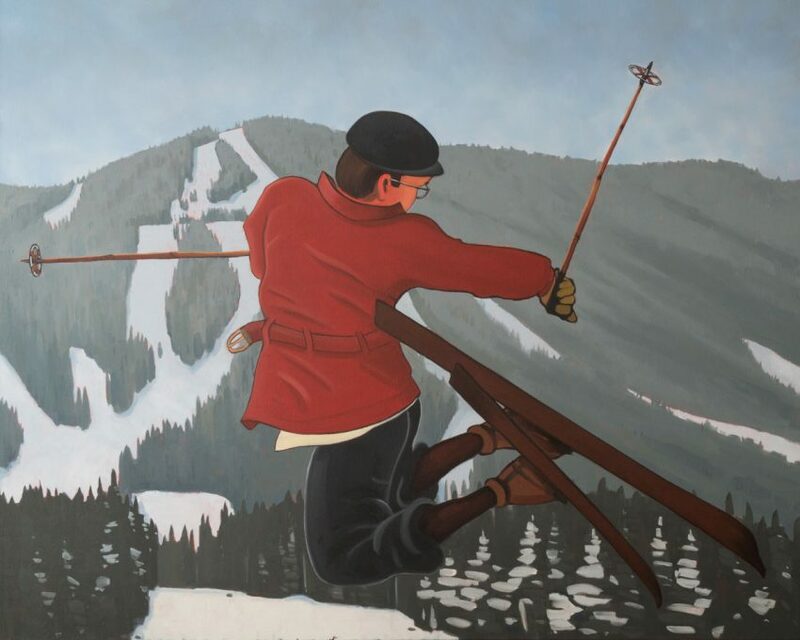 Artist Mitchell Fenton opens a solo show in Toronto this month with high action scenes celebrating downhill skiing. “We’re going back to its origins, to a time of adventurers, risk-takers, tricksters, acrobats and romantics… on minimal equipment,” says the Alison Milne gallery, hosting the exhibition. This is Fenton’s second solo show at the gallery, where his 2015 Moving Pictures exhibition was a hit. See the Art Junkie post on that exhibition, here. Fenton’s recent series of Canadian vintage postcards also was posted on this blog. 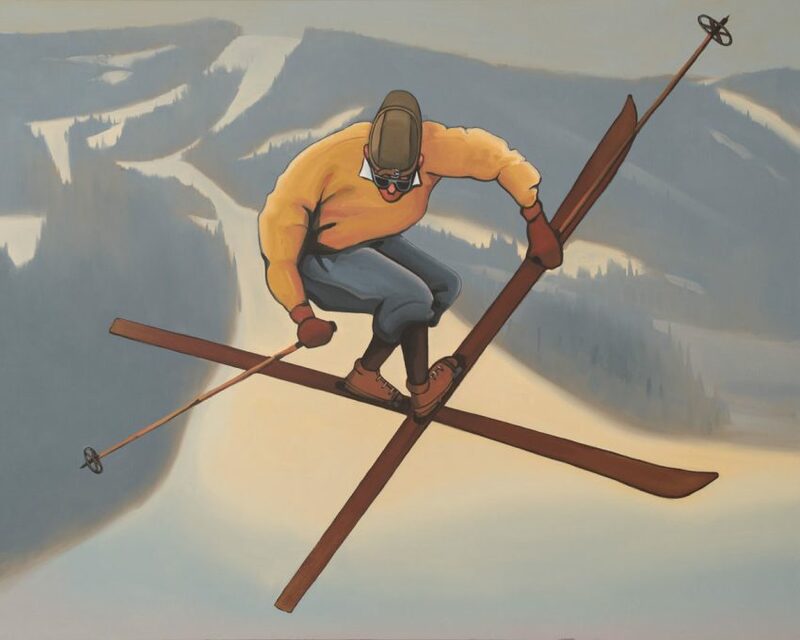 Fenton’s paintings borrow colour, characters and tone from vintage ski posters of the 30s and 40s. They all have details taken from countless historical photographs, and are overlaid on images of modern-day freestyle skiers taken from the web. Mitchell Fenton’s artist page at the gallery, here. Alison Milne art gallery home page, here. Opening reception for the exhibition March 29, 6-9 p.m.
Show runs March 21 through April 20, 2019. Nice eye! Real and unreal all at once! He’s done it again… very collectable! I know exactly what you mean, so true.